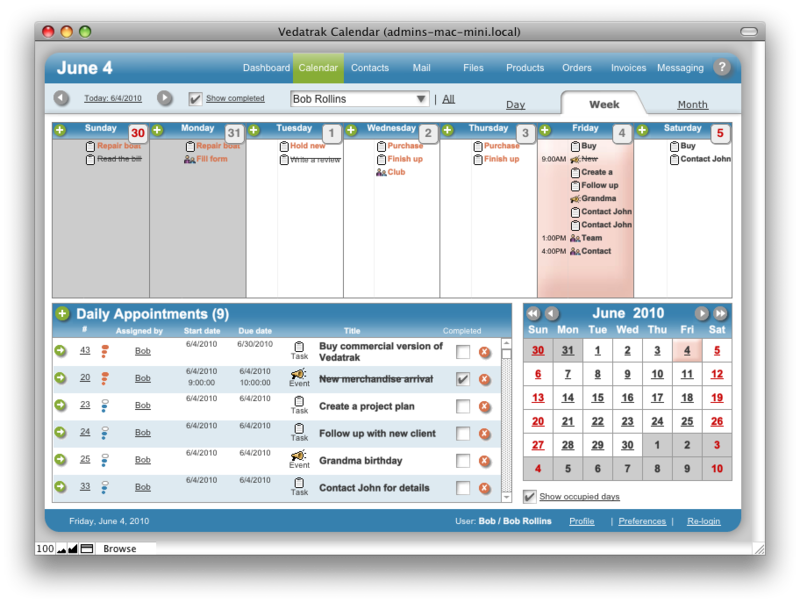 Calendar Week View, using the Appointments Filter, shows weekly appointments, including the Selected Week (today's week is the default), Daily Appointments and the Calendar Navigation Component. Switch between weeks using arrows or the Today button with the Appointment Filter. To open Day view for a chosen day, click the date in Week View.